PShopMagic is a new website that will offer fresh, original and creative Photoshop Actions, Filters, Plugins and more. Our intention is to develop inventive, dynamic and fun tools for the beginner to advanced Photoshop user, all at very affordable prices. This site just went live as of April 10, 2014 so as the months pass, we’ll continue to add to our collection of software so make sure to check back often! The website and all software is developed by Steve Roginski, an avid Photoshop user since its initial release in 1990. I was an early adopter of using computer technology to generate graphics for the print industry which for me, began in 1987 with the purchase of a Macintosh II computer and Apple Laser Writer along with early copies of applications such as Aldus FreeHand, Adobe Illustrator and other obscure things that you’ve never heard of. As Photoshop continued to evolve and computers got faster with larger hard disks, by the mid 90’s I started to realize that doing complex color separations using it was a possibility and by later in that decade, began working on my first commercial application to automate this process using Photoshop. 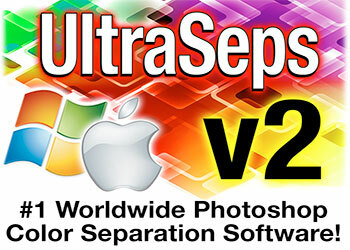 Today, my latest color separation package is UltraSeps v2, Color Separation Software Suite. 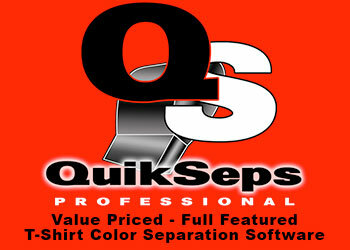 UltraSeps is the #1 product of its kind in use today by t-shirt and general fabric screen printers around the globe in over 50 countries and runs within Adobe Photoshop. In fact, we have over 8,000 users worldwide, which is quite a few for a niche market product. Throughout the years, many of our users would ask me to create new and different things for Photoshop such as effects, filters, actions and plugins to assist with their creative process. So, I decided to launch this site and begin on a new body of work that caters to a diverse group of creative people from casual Photoshop users and photography hobbyists to professional graphic designers, printers, photographers, screen printers and more. If there’s anything that you personally would like to see made possible within Photoshop via an automated process, drop me a line! I’m always open to suggestions on ways to make your work easier.